The change of seasons always motivates homeowners to think about a home upgrade. One of the main considerations in home improvement with the coming of spring is the exterior appearance. There is a tendency to overlook curb appeal when thinking about home improvement yet this is the first thing visitors see when they come to your place. One of the most effective home improvements you can think of in this regard is the installation of outdoor shutters. Window shutters have been around for centuries, and they add a dash of sophistication to a property. They form part of the colonial architecture and thus add classical appeal to your home. While these shutters still retain their vintage décor, they have been refined to suit contemporary architectural needs. If you want to give your home a more stylish look, it is time you considered installing shutters. There are different types in the market and selecting the most suitable one becomes a daunting task. This article delves into the world of the shutter to help you choose the best for your home. Why Install Shutters On Your Home? Aesthetic appeal: Well-designed window shutters complement your home’s décor and give it a regal touch. They become instant attractions on your home’s exterior décor. Additional protection: In areas prone to stormy weather, window shutters offer additional protection. They protect the windows and also keep away debris from your home. Added privacy: In coastal areas where large windows are the norm, adding shutters is a no-brainer for enhanced privacy. These installations will not block light but will keep away prying eyes from your house. Natural weather control: By lifting or lowering window shutters, you can control natural air flow into your home. On hot days, you can let in the breeze without compromising on privacy. It saves you the cost of air conditioning. Customization: Whatever style you wish to give your property, there are different types of shutters which you can customize to get that desired effect. 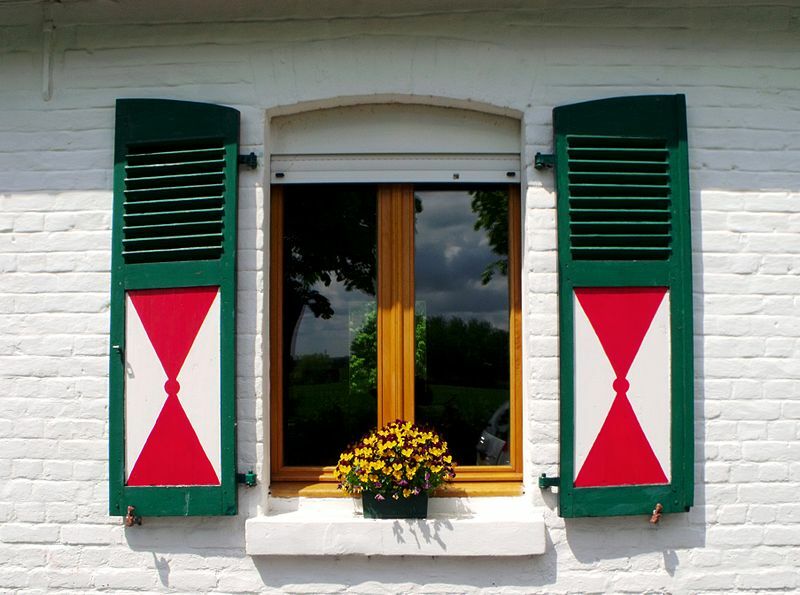 In essence, window shutters offer both functional and aesthetical benefits as a homeowner. They also add value to your home while making it the jewel of the neighborhood. Consider whether you are after decorative shutters, functional shutters or a mix of the two. Doing this helps you choose the style, materials, color and appropriate hardware to serve the purpose you have in mind. You should also consider your home improvement budget to find the most affordable shutters. Louvered shutters: Most common and feature angled slats to allow light and air. Work best for Victorian, Cape Cod, Ranch, Greek Revival, Federal and Colonial Georgian homes. Raised/solid panel shutters: Similar to doors or kitchen cabinets and their low profile makes them perfect for most home styles including Victorian, Federal, Cape Cod, Ranch, French Country, Greek Revival and Colonial Georgian. Board and Batten (BnB): They have a rustic character and a simple appearance. They work best for Mediterranean homes, French Country, Cape Cod,and Ranch home styles. Bahama shutters (Bermuda shutters): Fixed at the top of the window and common in tropical areas. They offer protection from storms and look perfect on Cape Cod, Ranch, and cottage homes. Your choice of shutter style should work perfectly with your home style. The shutters should complement your home’s décor and not distract the eye unnecessarily. Sizing is crucial when installing an outdoor shutter for your home. It is advisable to go with custom-made shutters to fit each window. To get the right sizing, you need to get proper measurements for your windows and this requires the input of a professional contractor. The shutter should cover the window and give an appearance of functionality even when it is only serving aesthetical purposes. The shutter size should mirror the window to blend easily. There are various types of materials you can choose for your window shutters. Your choice should rely on the availability of the material, durability, ease of installation, maintenance required and the other qualities of the material. Wood: Popular woods in shutter manufacture include cedar, cypress and African mahogany, pine and basswood. 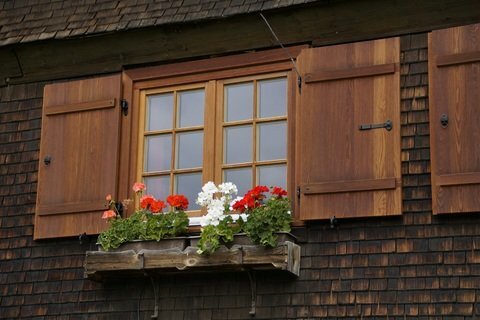 The best wood for shutter construction is weather resistant and durable. When picking wooden shutters, consider any prior treatment required and maintenance necessary after installation. Polyvinyl chloride (PVC): Vinyl window shutters are versatile, easy to install and maintain. You can customize these windows to achieve the aesthetic touch your desire. They never need repainting compared to wood shutters. Faux wood: If you want a material that gives your home classical appeal without paying much, faux wood is what you need. These shutters still give your home that warmth associated with wood shutters but at a smaller cost. There are other materials on the market including fiberglass and aluminum but ultimately base your choice on the function of the shutters, durability and maintenance needs. You can choose composite shutters comprising PVC, engineered wood, and fiberglass for added durability. Look for the most durable shutter materials that will not require special care and maintenance. The best materials are also easily available and easy to install. If you opt for a DIY project or partner with a professional contractor for the window shutters job, choose easy to install shutter systems. Such shutters also cost less and take less time to install. When it comes to choosing outdoor shutter colors, you have a wide range to choose. The color you choose should complement the rest of your home’s décor. You can also opt to choose a contrasting color to give more prominence to your shutters. The bottom-line is to choose a color that does not clash with the rest of your home’s décor. Exterior window shutter installation entails a lot of work and for this reason; it is advisable to hire a professional to do the job. Look for a professional contractor in your area to get the job done. Look for referrals from other homeowners, read reviews and testimonials and carry out a background check of the installation company. The best window and shutter installation companies offer satisfaction guarantees and product warrants. There is no denying the impact outdoor shutters can have in your home. These home improvement installations have both aesthetic value and functional value. They protect your home, enhance privacy and add a dash of style to your home. To find the best shutters, consider your needs, research the types of shutters, best shutter materials and look for a professional contractor to help with the installation. Jeff Gerber is involved in home industry for more than two decades. He is passionate about share knowledge of Shutters needs of each customer. Hi Jeff. Thanks for that piece, its pure bliss to just bump into it. I am very passionate about shutters, home deco in general. It’s a concept I would like to introduce in my home country and been wondering how to go about it though am not a contractor yet. I consider myself gd in marketing and if only I can have a way to bring them here. I thinks its a virgin area in home deco I don’t mind going into full swing. It’s interesting that there’s such a thing as aluminum exterior shutters; do they make the house warmer? We’ve been thinking about getting shutters for our windows, and I’ve been curious about the pros and cons of each type. Thanks so much for sharing this helpful article on shutter types! I’m very interested in getting faux wood shutters installed for my home. The look and design is elegant and I love that it would give my home a classical appeal. Thank you for your information on outdoor shutters. 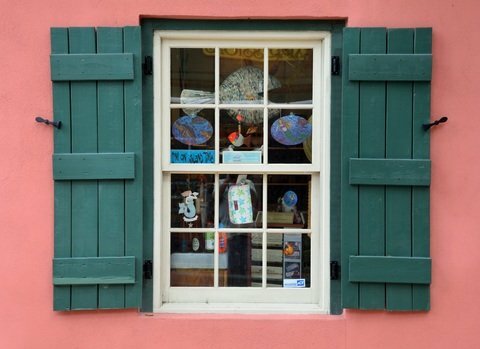 Your advice to get shutters that are custom-made for your windows so that they’re the right size is a good idea. In order to do this, you’d probably want to research local contractors that specialize in shutter installation. Finding one that is local would be a great way to ensure that they can get to you quickly and help you choose a material and style that fits your home and the climate you live in so that your windows are protected. Hi Jeff, I’d like to thank you for your explanation about getting the best outdoor shutters for our home. Among the featured images here, what caught my attention is the second one. I found it interesting when you said that it should complement our home decoration, cool! Thanks a lot. Thanks for explaining some things to keep in mind when picking shutters for a home. It’s nice to know that raised panel ones could be good for most home styles. Perhaps it could be good to see various shutters on different homes to understand how it adds to the overall aesthetic of a home, and how that can be done to your’s. My wife and I want to get new shutters for our home, so thanks for sharing this. I like your point about choosing colors that don’t clash with the rest of your home’s decor. I’ll be sure to find some that closely match the rest of the house so they don’t stand out too much. I’m glad you pointed out that measuring your windows correctly requires the help of a window contractor. My husband and I are interested in getting new plantation shutters for our home. I want them to be the perfect size, so I think we’ll take your advice and hire a professional to help with the installation process. 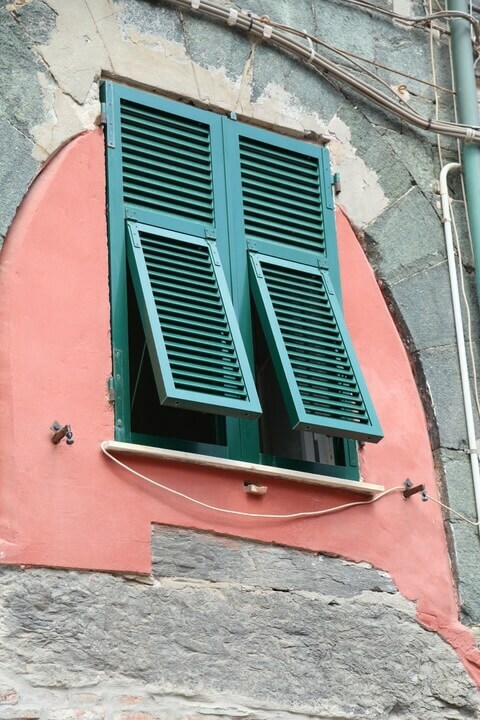 I like the idea of getting shutters on my windows. That would definitely add some aesthetic appeal, like you said. It would add some extra curb appeal and make the exterior of my home a little more interesting. Thanks for pointing out that installing shutters on your windows can help give your home a regal touch and add to the overall aesthetic appeal. My husband and I are thinking about adding shutters to our home because I think it would add such a cute touch, and give the house more of the overall look that I want. Thanks for the tips on how to choose the right shutters for your home.